If you are a Windows user, you are definitely going to listen to music on your PC or Laptop. For this, you need to have quality sound output through your Windows PC. Therefore, we always use high-quality headphones or earphones along with our PC. 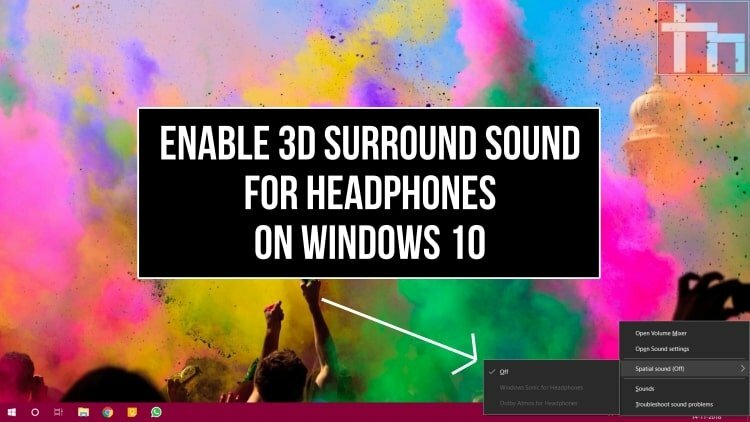 However, you may not be aware that you can get 3D Surround Sound from almost any of the earphones attached to your Windows 10 PC. Yes, you read that right and this is all thanks to Microsoft. With the latest update to Windows 10, Microsoft added the ability to enable 3D Surround sound FOR headphones on Windows 10. If you are unaware about ‘3D Surround Sound’, we will give you some more details about it. You must have watched some movies in a theatre where the sound quality is mind-boggling. This sound quality is all thanks to 3D Surround Sound. Microsoft added two different types of spatial sounds in Windows 10 named as Windows Sonic and Dolby Atmos. Now, you must have heard about Dolby Atmos somewhere. Dolby Atmos is the technology used in most of the movie theatres nowadays. 3D Surround Sound can be better understood by taking the example of any movie. Say, for example, you are watching a movie and someone shoots with a gun inside the film. With the help of 3D Surround Sound, you feel that the bullet whizzed past your ears. This is the magic of 3D Surround Sound. We can give gazillions of examples for explaining 3D Surround Sound to you. However, it is better that you try it on your own with your own pair of headphones. 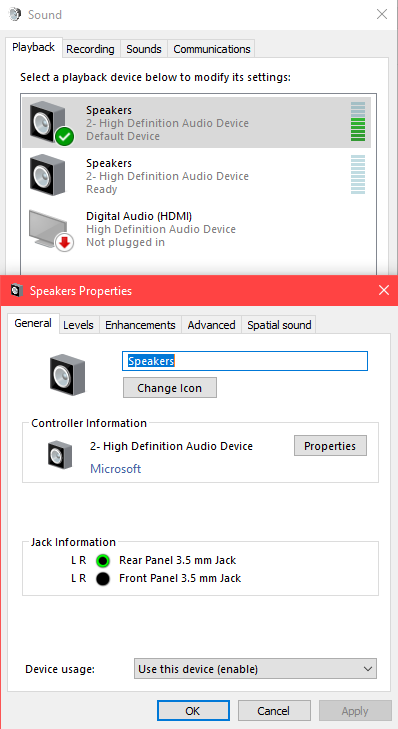 Therefore, we are now going to let you know how you can enable 3D Surround Sound on Windows 10. For this, you need to have a PC or Laptop running Windows 10, of course. Also, you need to attach your headphones to the PC so that you can enable the 3D Surround Sound. Now, enough of the talking and we shall start with the actual process. 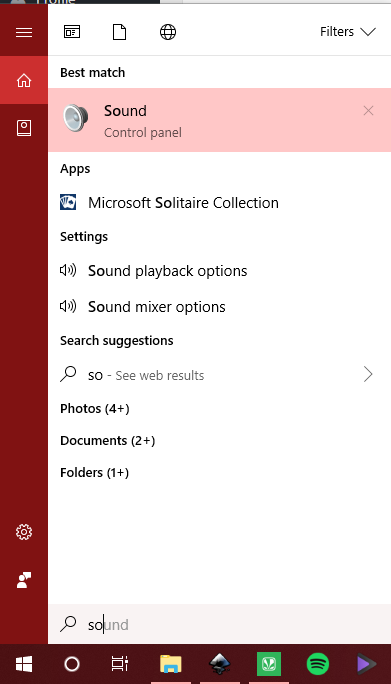 Here, you can easily enable Windows Sonic for headphones option as it is free. However, selecting Dolby Atmos for headphones will take you to the Windows Store app. Then, you need to install the Dolby Access application which has a free trial after which $15 needs to be paid for continued access. 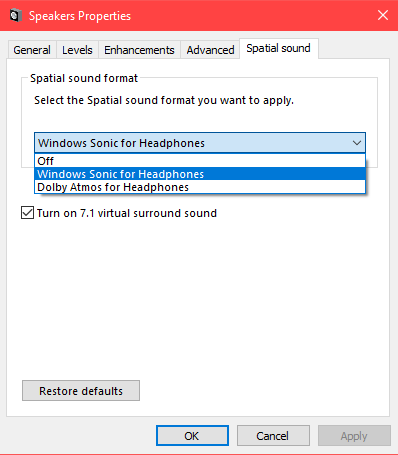 This ends the process of enabling Spatial Sound/3D Surround Sound on Windows 10 for your headphones. Let us know in the comments section below about your thoughts on results you got before and after enabling Spatial Sound. Also, feel free to ask your queries if any regarding the process mentioned above.